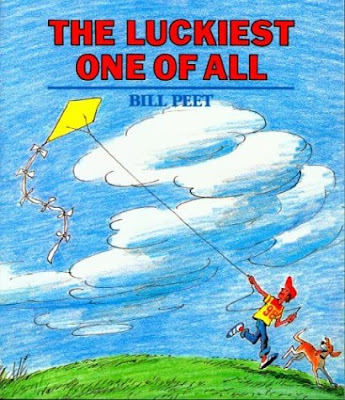 I'm not quite sure how I made it almost 6 years into parenthood without knowing about Bill Peet, but I'm hoping to prevent that from happening to any of you! For this month's All About Authors, I'm featuring an amazing author and illustrator that we have absolutely fallen in love with. 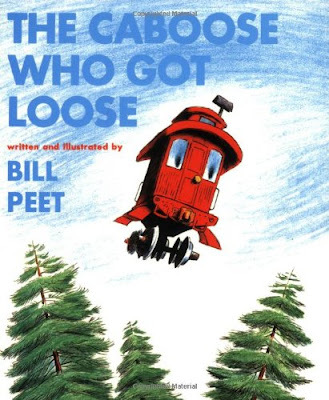 There are many things about Bill Peet's books that will remind you of Dr. Seuss (particularly some of the longer Seuss books), but they're not so completely nonsensical to drive you bonkers. Many of the books are written in rhyme, many feature imaginary animals, and many have a silly twist at the end. 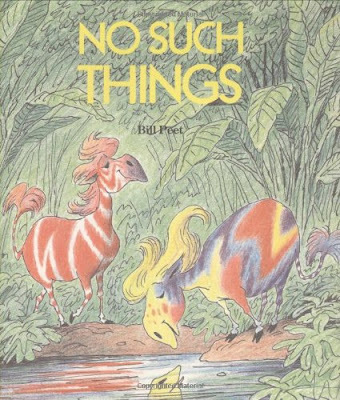 Take a look, and I think you'll end up loving Bill Peet as much as we do! 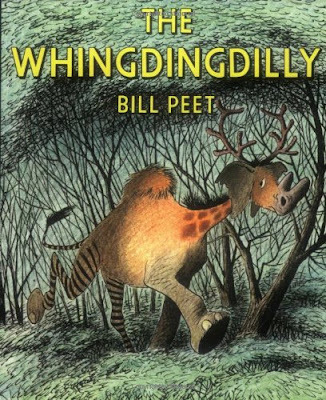 Bill Peet was born in 1915. He had a 37 year career working at Disney Studios where he worked on many animated films such as Snow White, Pinocchio, and Fantasia. He left Disney after a fight with Walt Disney himself over The Jungle Book. After leaving Disney, Peet began working as a children's book author and illustrator. He wrote over 30 books before his death in 2002. Learn more about Peet's life, books, movies, and awards on the Bill Peet Website. The first thing to note about Bill Peet's books are that they are LONG! Most are 40-50 pages long, with one or two hefty paragraphs of text on each page. This isn't a bad thing, though! They take about 20-30 minutes to read aloud, so they are definitely not for toddlers or young preschoolers who may have trouble sitting still for that long. For older preschoolers and early elementary children, this length of book can be a great transition to chapter books. The text also contains fantastic vocabulary words! They're integrated into the text in such a way that children can derive their meaning easily. The more exposure your children have to many different words, the better! Several themes reappear throughout Bill Peet's narratives. The stories have lessons about accepting yourself for who you are, not being jealous of others' lives, and the importance of helping others. The messages are not overbearing, but are crystal clear! It's also worth noting that Bill Peet was first and foremost an illustrator, so the drawings are a huge part of the beauty of his books. The scenes are inviting, and familiar enough to draw children in. In the silly books, Peet's imagination soars and he uses his talents to create hilarious images and worlds. You'll find lots of animals, trains, circuses, and farms in Peet's stories-- they seem to be favorite motifs! Buford is a bighorn sheep whose horns just won't stop growing! They cause him all sorts of problems- he eventually leaves his herd, and ends up living a life on the run. During a scary encounter with some hunters, Buford tumbles over some rocks. He lands on his horns, which turn out to be perfect skis! Suddenly Buford is able to live a life of fame because of who he is. The message in this book is to accept ourselves for who we are - what we perceive as flaws may turn out to be some of our best qualities! A little boy wishes that he were a bird-- the flying would be so much fun! Then we hear from a bird, who complains about his own lot in life and wishes that he were a fish. The fish has a list of complaints, and then wishes that he were a turtle. And on and on it goes, until we make it back to (you guessed it) the little boy again! The message in this book is simple enough for young children to understand. Your life is just fine how it is, and instead of focusing on the negatives, we should embrace the positives! No Such Things reminded me SO much of a Dr. Seuss book! It goes through a dozen or so nonsense animals, all with perfect silliness. My daughters laughed and laughed as we read this book, and we all had a good laugh as we decided whether or not any of these animals were actually real. Then we had fun brainstorming some of our OWN silly animals! Poor Smokey the train is used only for moving cars around in the rail yard. He longs for a more exciting life of travel, so when he overhears that he is about to be sent to the junk yard he makes a daring escape! 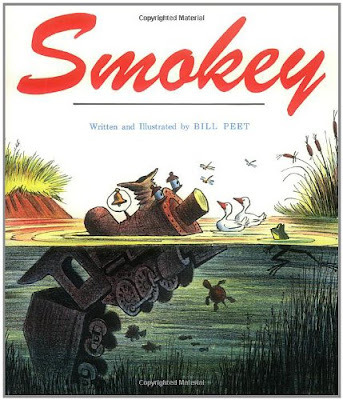 Smokey ends up having an accident, and eventually he lands in a school yard teaching children their letters through his unique smoke rings. Hands down, my favorite book of the batch! Chester is a normal pig who wants to be MORE! He learns a trick (standing on his snout) and joins the circus. 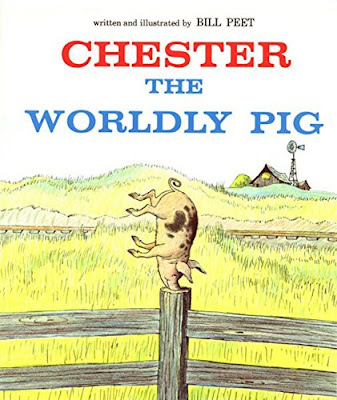 When things don't go as planned, Chester returns to regular life on a farm. Little does he know that Chester is, in fact, SPECIAL. It takes a travelling showman to find Chester and give him his life of fame and glory that he'd always dreamed of. I laughed aloud when we got to the crazy twist at the end! This sweet story teaches children that family is about caring for one another, and that we don't have to be related by blood in order to embrace one another as family members. Zella the Zebra rescues baby Zack, the ostrich, and becomes a surrogate mother of sorts. 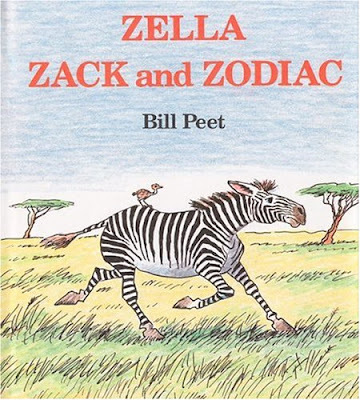 When Zella's baby, Zodiac, needs a little help of his own, Zack swoops in to the rescue. This book would be a perfect choice for an adoptive family! 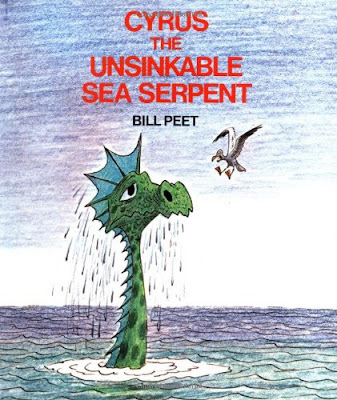 Sweet Cyrus the Sea Serpent appoints himself protector of a doomed ocean voyage. He saves the ship from the doldrums, a terrible storm, and pirates before towing it all the way across the ocean to its destination. Katy Caboose feels sad because she is always stuck at the back of a train, where it is noisy, smoky, and unsettled. She longs to be able to just rest somewhere peaceful and enjoy some quiet solitude. Katy eventually turns her attitude around, and learns to appreciate her circumstances. As soon as she does, however, Katy ends up uncoupling from her train accidentally on a steep mountain grade, flying through the air, and getting wedged in among some treetops. After accepting (and appreciating) her fate, Katy gets what she's always wanted. An ordinary brown dog is jealous of a neighbor's show horse. He wishes he were more fantastic and an old witch turns him into an amazing mix of animals called a whingdingdilly. Things do not go as well as he had hoped, and the dog ends up learning that being himself is just fine. I love the message of self-acceptance in this book! 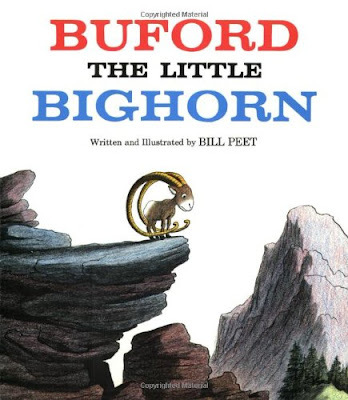 All About Authors: Bill Peet. 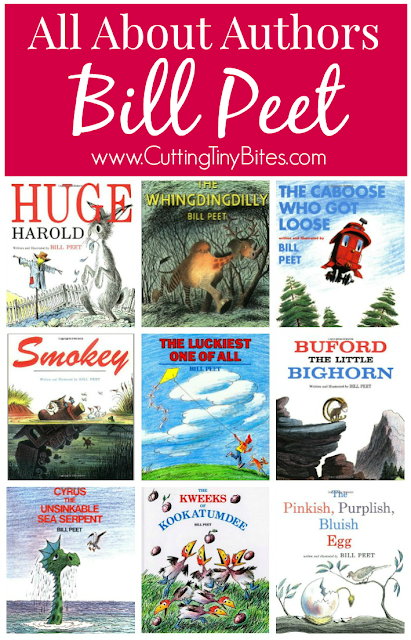 If you like Dr. Seuss, you'll LOVE Bill Peet! Book reviews, biographical information, and other resources for this fantastic children's book author.